Getting positive online reviews is now one of the most crucial factors for growing your business and establishing trust with your customers. Let’s look at the top 7 ways to get more positive reviews for your business. It’s essential to know when people post reviews for your business. Monitor any sites where you’re listed, such as Google, Yelp, Yellow Pages, Yahoo, etc. Set up Google Alerts for your business name as well. This gives you a chance to address any negative reviews and, hopefully, resolve problems with customers. Make sure your listings for Google My Business and other reviews sites are thorough and include essential information such as your address, phone number and hours of business. Also, be sure to provide a good description of your business to help customers find you in the search engines. Professional looking photos are one of the best ways to highlight your listings on review sites. Images make your business stand out and get noticed. Photos of yourself, employees, your place of business and surroundings give people searching a clearer picture of what you have to offer. It’s a good policy to respond to all online reviews, both positive and negative. When someone praises you, always take the time to thank them. This isn’t only polite, it actually encourages others to leave positive reviews. You should also respond to negative reviews. Apologize for any mistakes you made and offer to remedy the situation. In some cases, this is enough to get people to remove or change the review. Let your customers know that reviews are important to you. You might send out follow-up emails asking them to leave a review. There is now software that automatically asks customers to leave feedback. For satisfied customers, you can then follow up with a request for a review. Make it easy for them by having a button to click on that links to the review site. For physical businesses, your sales people or receptionist can also verbally suggest to customers on the way out to leave a review. Avoid practices that violate the TOS of review sites and could get your business de-listed. 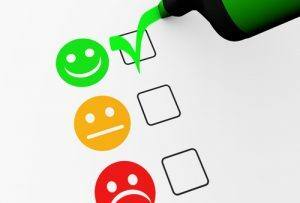 While it’s fine to request reviews, never specify that people should leave a positive review. Don’t try to incentivize reviews, such as by offering a prize or discount. Another practice that crosses the line is asking for reviews right at your place of business. This violates the rules of certain review sites, including Google. Getting angry or defensive online seldom works out well for businesses. Try to resolve problems, such as by offering a refund or exchange. If this isn’t possible, it’s best to just stop communicating. Getting into a nasty public conflict usually makes matters worse. You can’t please everyone and a few bad customer reviews aren’t going to hurt you as long as you cultivate mostly positive ones. If your business is growing and you’re looking for some capital to help you manage your growth, contact Riviera Finance.